Mark Crissinger has been performing in pubs, clubs, festivals, and fairs since 1985. Between 1987-2007 he and his bands played an estimated 1500 shows in Ontario and Quebec, including eighteen tours of the Maritime Provinces. During that time, he was a member of Sweet Jones (89-93) who was signed to EMI and recognized for their song writing and strong work ethic. Mark was also a member of Toronto’s infamous Caution Jam for twelve years and released two original albums with them. His guitar/piano duo The Bluebudzz performed blues and classic covers in southern Ontario between 2000-2007. After moving to British Columbia in 2007 he began to focus on a solo career showcasing his love for song writing blues and roots music. Since then, he has released five studio albums and three live collections. Since 2010 he has played over 1000 shows including fifteen tours in Ontario and Quebec plus many Canadian music festivals. 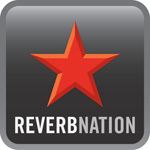 His solo show features stellar guitar playing and soulful vocals. He has enjoyed many years of popularity on the solo tour circuit. 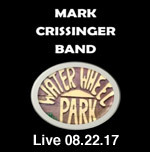 The Mark Crissinger Band is known for their upbeat danceable show and always features an all-star cast. His 2015 album “BLUES EXPRESSION received great reviews from critics and extensive airplay on blues radio programs across Canada and the United States. 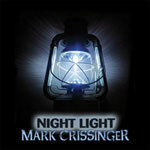 Crissinger’s fifth solo studio album NIGHT LIGHT continues on his “new blues” journey. Blending traditional themes with clever lyrics and modern arrangements, these songs capture his singer-songwriter soul and the blues in his heart. His relentless touring and the success of these two albums got the attention of the Maple Blues Awards and in 2017 and he was nominated for a “new artist of the year” award.